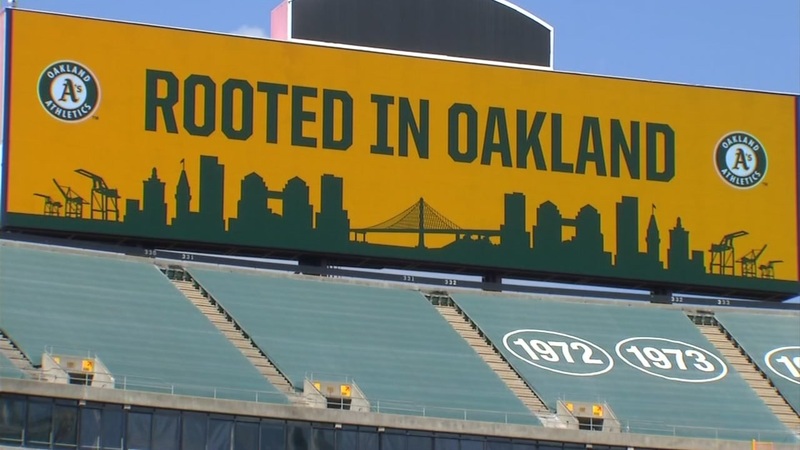 OAKLAND, Calif. -- The Oakland Athletics took a playful poke at a rival team Saturday, promising to charge San Francisco Giants fans more for Oakland Coliseum parking, and BART promptly capitalized on the joke. Oakland announced today that parking will cost $50 for Giants fans for the 2018 season. A's season-ticket holders can get prepaid parking for $10 and other Oakland fans will pay $30, the team announced. However, "Any Giants fan who yells, 'Go A's,' at the parking gates will be charged only $30 to enter the Oakland Coliseum," A's President Dave Kaval said in the announcement. Kaval has a history of offbeat promotions for the team. The A's are scheduled to host the Giants in an exhibition game Sunday at 1:05 p.m. at the Coliseum. The A's announcement did not go unnoticed on social media. In response, BART tweeted, "We have a solution for this," doubtless referring to the fact that those who take public transit don't have to pay anything at all for parking. Click here for more stories, pictures and videos on the Oakland Athletics.